Actor Liev Schreiber and his girlfriend Taylor Neisen are still going strong! Months after rumors started swirling about Schreiber, 50, and Neisen, 26, they were spotted on a beach vacation in Costa Rica. The ex-Miss South Dakota was seen showing some affection for Liev, who couldn’t help but smile. During their beach outing, Neisen also showed off her toned bikini body while taking a dip in the ocean. The pair was joined by his sons with ex Naomi Watts, Samuel and Alexander. Watts has also moved on from the relationship... with her “Gypsy” co-star Billy Crudup. They were recently seen holding hands while leaving a Vogue party. 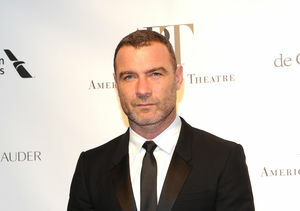 Over a year ago, Liev and Naomi announced their split after 11 years together.